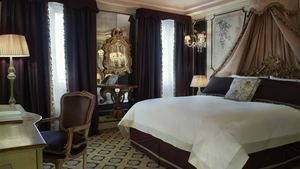 Ideally located in the charming city of Venice, the Gritti Palace is an enchanting, luxurious Venetian palazzo from the 15th Century offering high quality services. A wide range of splendid rooms are available to make your stay a memorable one. history. The vaporetti boats will give you the chance to gaze at the magnificent palaces of the city, adding an authentic romantic touch to your holiday. The Restaurant “Club del Doge” will give you a real taste of the Venetian culinary traditions in an elegant and refined environment. From April to October, enjoy the terrace with an enchanting view on the Grand Canal. After a long day of visits, relax in the private and intimate “Longhi Bar” surrounded by hand-sculpted mirrors, marble counters, and 18th Century paintings of the famous Venetian artist after whom the bar is named. As an alternative, you can spend a delightful moment in the the Acqua di Parma Blu Mediterraneo Spa for a unique regenerative experience. 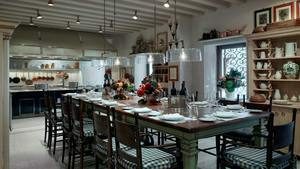 Get an exciting introduction to the Italian cuisine with Executive Chef Daniele Turco’s cooking classes. 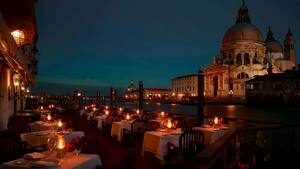 The Gritti Palace offers 82 sumptuous rooms, including 21 breath-taking suites. Each room is well-equipped and has toiletries and bathroom slippers. 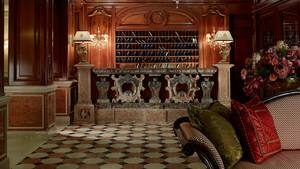 Luxurious Venetian furniture and fabrics hold testimony to the prestigious past of the city. Several room grades are available such as Deluxe, Venetian, Giglio Prestige and Landmark Grand Canal. The suites grade include Sestiere Suites, which pay tribute to the Sestiere disctrict’s various characteristics; Serenissima Suites, named after the famous naval battles of the Most Serene Venetian Republic; and Heritage Suites taking their name from famous historical elements of Venice. Patron Grand Canal Suites are named after the patrons of art, design and literature. The Pisani suite pays homage to the noble family originally owning the palace. Finally, the Terrazza Redentore Suite is a gorgeous two storey suite benefitting from a lavish terrace.